Welcome to the TGS Forklift Training New page. Here you will find news and updates relevant to to Forklift Training, Industrial Safety and other useful Information. This leaflet about lift-truck training is aimed at employers of lift-truck operators. It includes information about the law in relation to lift-truck operator training and on the Approved Code of Practice on lift-truck training. It also explains who should be trained, who to consult, what training should include, authorisation, monitoring and assessment, refresher training, conversion training, keeping records, supervisor training and how to choose an instructor. The updated ACoP L117 was “soft launched” by HSE on 19th March to coincide with the IMHX exhibition at The NEC. It appears that there is so confusion with the the training industry as to the new role of the HSE and its relationship with the Accrediting Bodies. The aim of this bulletin it to put the record straight and is directly extracted following a Q&A session with Mr Pete Lennon of HSE. P19 Paragraph 96 cover voluntary accreditation for lift truck training states that the HSE no longer “Administers” an accrediting bodies scheme. Training providers and instructors are interpreting this to mean that the HSE have dropped The Accrediting Bodies, when in fact the opposite is the case. The definition of “Administer” is “Manage” and therefore a more accurate statement would be that the HSE no longer “Manages” the AB in the future this role will be taken up by an outside auditor who as present has not been chosen. In short The Accrediting Bodies scheme continues in the same way as in the past, however in future it will be managed (audited) differently. The new Accrediting Bodies scheme is called “The Accrediting Bodies Association (Workplace Transport 2012). The members are AITT, ITSSAR, NPORS abd RTITB. ABA meetings will be attended by the HSE “at least” once per year. In 1988 the first code of practice covering operator training for rider operated lift trucks was produced. This provides guidance regarding the requirements for the training of lift truck operators. The recognition of accrediting bodies in this guidance was designed to “help employers select training organisations who offer a good standard of training”. In 2010 the Health and Safety Executive (HSE) held a conference to address the way forward for Approved Code of Practice (ACOP) and the role of the accrediting bodies. 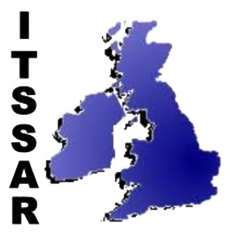 Following a period of consultation, representatives of the four main accrediting bodies, namely AITT, ITSSAR, NPORS and RTITB, have agreed to form the Accrediting Bodies Association (ABA). Criteria has been formulated in order to qualify as an accrediting body based on the HSE proposal, plus adherence to widely used national and international standards for certification and awarding bodies. The main areas this agreement covers are the standards to which the training providers will have to adhere, the methods of monitoring to be applied by the relevant bodies, and the future registration of operators by the training providers. The criteria will be the standards that each of the accrediting bodies will have to attain and adhere to, being regularly audited by an independent external auditing body. Subject to final HSE board approval, the HSE Workplace Transport Team will continue to work with the ABA in an advisory role. The newly formed association is sure this agreement will bring clarification for future training & testing of all workplace transport and MHE operators. It will also bring assurance to employers engaging the services of an accredited training provider that the training will be carried out to the standards prescribed in ACOP (L117).